Saini has replaced Shami in the squad. India have suffered yet another blow ahead of the historic one-off Test against Afghanistan, as their pace spearhead, Mohammed Shami got ruled out of the game. The 26-year old pacer failed to clear the mandatory Yo-Yo Test and thus found himself out of the squad. Delhi’s Navdeep Saini has replaced the Bengal pacer for the historic game, scheduled to be played in Bengaluru from June 14. This is Saini’s maiden call from the Indian team. 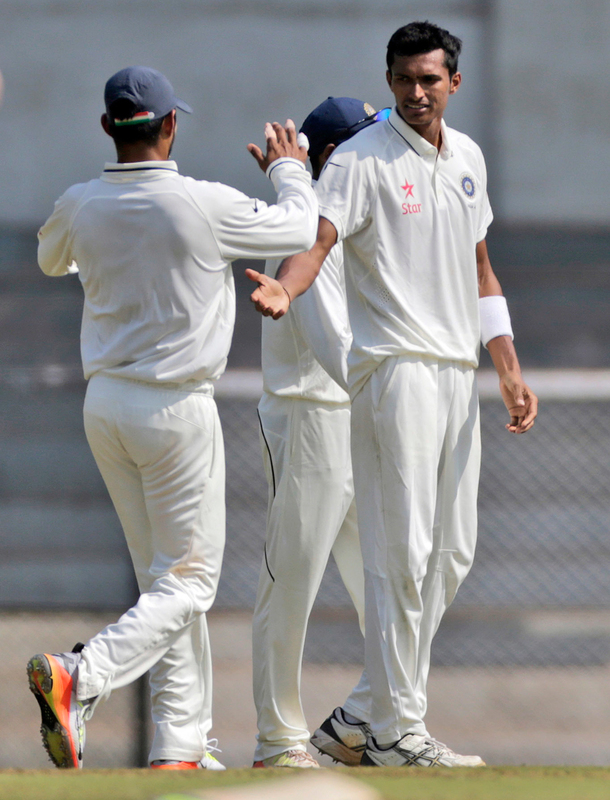 Saini finished last season as Delhi highest wicket-taker, helping the side reach the final of the Ranji Trophy. He finished the season with 34 wickets in eight games. Saini impressed one and all by frequently clocking speeds upwards of 140 kph throughout the competition. 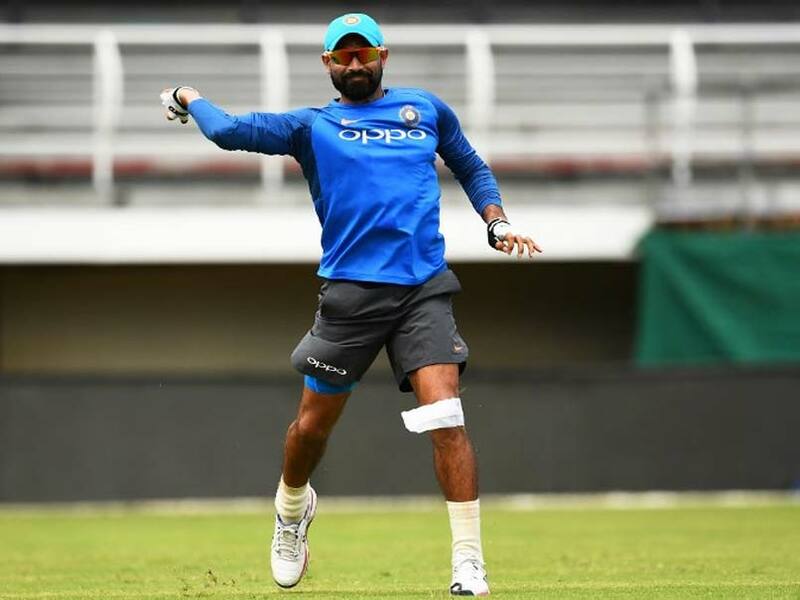 The latest turn of event is yet another setback for Shami who is having a tough time on and off the field for quite some time now. Shami has been distracted due to the ongoing feud between him and his estranged wife, Hasin Jahan. The feud between Shami and Hasin started in March. Shami had found himself in the middle of the storm after his wife levelled sensational allegations against him. Hasin alleged her husband was having extra-marital affairs with several women. She even claimed the pacer was physically assaulting and threatening her over a period of almost two years. Hasin had also mentioned Shami’s involvement in match-fixing. As a result, the Board of Control for Cricket in India (BCCI) was compelled to withhold his central contract. But, after a thorough investigation from BCCI’s Anti-Corruption Unit (ACU) head Neeraj Kumar, the committee gave a clean chit to the Bengal-based bowler. Shami’s performance in the IPL was also poor. Playing for Delhi Daredevils, he could get only four games and managed three wickets while conceding over ten runs per over. With the England series not far away, Shami would be desperate to work on his fitness or else he might suffer yet another huge setback. Meanwhile, there are already some notable absentees from the game. India skipper Virat Kohli will miss the game. The 29-year old was initially set to miss the game because of his county stint. He had signed up with Surrey to play for them for the entire June. However, he too suffered an injury and will not play county cricket anymore. Instead, the India batting star would undergo rehabilitation at the National Cricket Academy. Kohli would be giving his fitness test on June 15. Along with Kohli, Wriddhiman Saha and Ishant Sharma will also miss the game due to injuries.